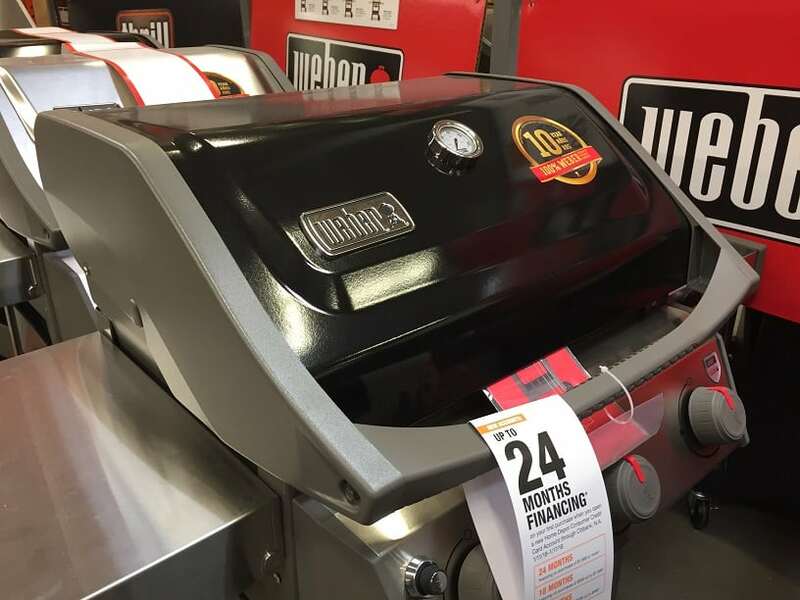 I was strolling through Home Depot yesterday and finally saw the new line of grills from Weber, the 2018 Weber Spirit II series. I loved them. The new Spirit grills are exciting because for the first time there is absolutely no reason at all to call a Spirit a cheap knock off of a Genesis. 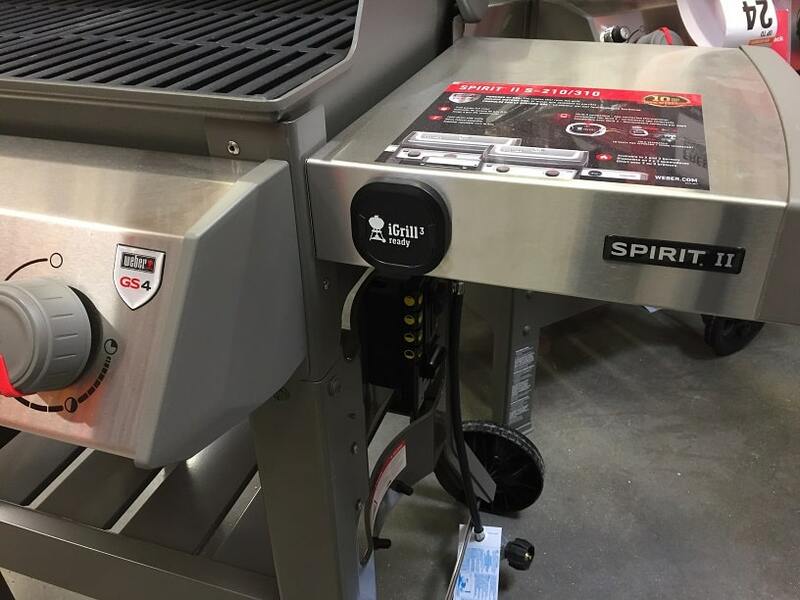 From a performance standpoint the Spirit II grills come with the GS4 high performance grilling system, are iGrill compatible and have the exact same cast iron grate material as a Genesis. You can get more information on the GS4 High Performance Grilling system in this article on Weber Spirit vs Genesis grills. One difference on the GS4 system for the Spirit II is the burner tubes. The new Spirit has the same cylindrical burner tubes as on past models and NOT the tapered rectangular tubes found on the Genesis II. From a reliability standpoint the warranty on the Spirit has been upgraded from five to ten years, again, the exact same as a Genesis. There are two versions of the Spirit currently available. The E series have lids made of porcelain enameled steel and are available in some beautiful colors including black, red, sapphire and ivory. The S series have lids made of stainless steel and are currently only available at Home Depot. The Spirit II grills are available in a two burner and three burner configuration. None of the Spirit II grills currently offered have a side burner. The reviews for the Spirit II 210 are overwhelmingly positive. Here is a snapshot of the reviews that were posted over on Weber’s site as of 7/19/18. A 96% recommendation rate and a 4.7 star rating after 662 reviews is pretty impressive. I always cross check other sites to make sure the manufacturer isn’t playing with the reviews on their site so I pulled the reviews from Lowes as well. The reviews from Lowes customers are nearly identical to what is on Weber’s site. The reviews for the Spirit II 310 grills are nearly identical to those for the 210 series. Here is the 7/19/18 snapshot from Weber. 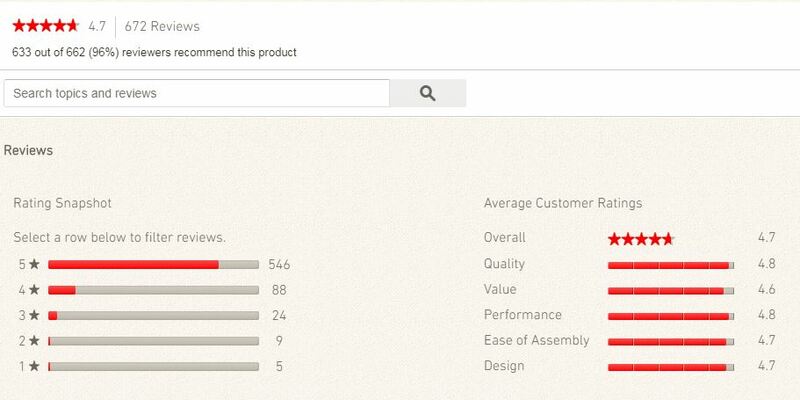 The Spirit II 310 sports a 94% user recommendation along with an overall 4.6 star score after 664 reviews. Both the two and three burner Spirit II grills will be available as natural gas models in black only. In addition to the obvious upgrades, what I love about the new Spirit grills is the styling. The Spirit used to be a “boxy” looking grill that was highly functional but not much to look at. The Spirit II is sleek and beautiful. 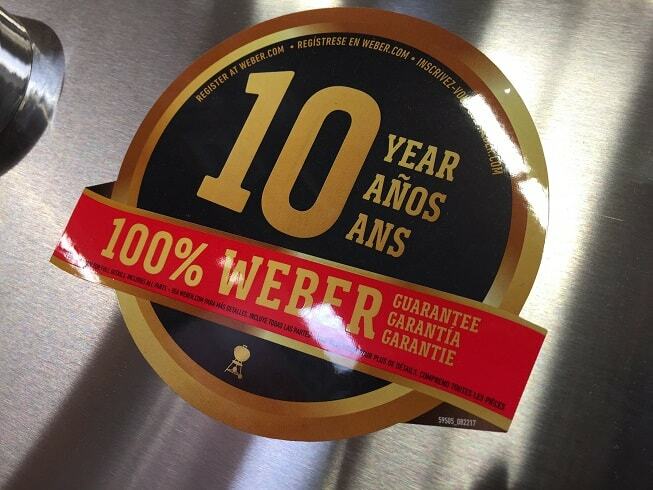 Here is the promotion video from Weber for these grills. It only takes two minutes to watch and gives you a close up look at all of the features. Whether you are talking about performance, reliability or looks there is now absolutely nothing inferior about the new line of Spirit grills. I think Weber has hit a home run with these things but it does leave open an obvious question. Now that the Spirit II grills have ticked off all of the important boxes, why would anyone buy a Genesis?